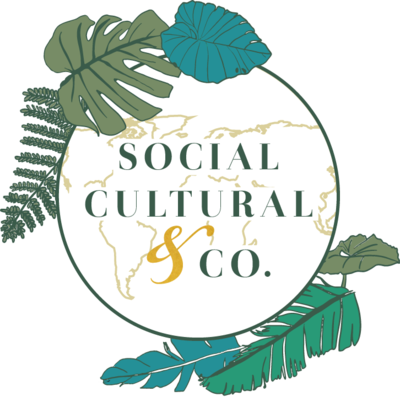 Meet our Founder — Social Cultural & Co. In 2016, I graduated with degrees in international studies, anthropology, international business and political science. On top of that, I completed several internships with prominent human rights committees and governmental organizations in public affairs. I had all the experience and education needed to jump start a career in diplomatic service. But as it turns out, that wasn’t what I was looking for. In fact, it felt like I was settling into a life that I truly didn’t want, even though everyone around me told me it was the perfect fit. I knew if I stayed on that path, I would never be able to pursue the professional and personal development I craved. In this search to find my path, I kept returning to my two true loves: connecting with the people around me and learning about new cultures. This hunt led me to the University of North Florida College of Business, where I was attending a “Women in the Business” forum. A casual conversation about my past internships, and all the work I had put into them, led to some helpful insight from the many professionals around me. One comment stood out among all the rest, a comment that was aimed at all my accomplishments in a past internship: you weren’t working as an intern, you were running your own business. How can I combine my love of culture, community and issues that matter to me in a way that can be expressed in the business world? How could I tell people's unique stories and showcase them in such a way that I can help them achieve their own business goals and promote positive initiatives in the process? That’s how Social Cultural & Co was born. I created a platform where I could combine my love for culture, travel, economic-sustainability, and community with my passion for meeting new people and helping make their own dreams a reality. If you share a similar passion and vision, contact me and my team at Social Cultural & Co. to collaborate today!